Which BMW Feels The Least BMW? BMW, once known for its rear-wheel-drive “ultimate driving machines,” has made quite a few models over the decades that didn’t quite fit what many expect from the German luxury brand. Which model deviated the most? 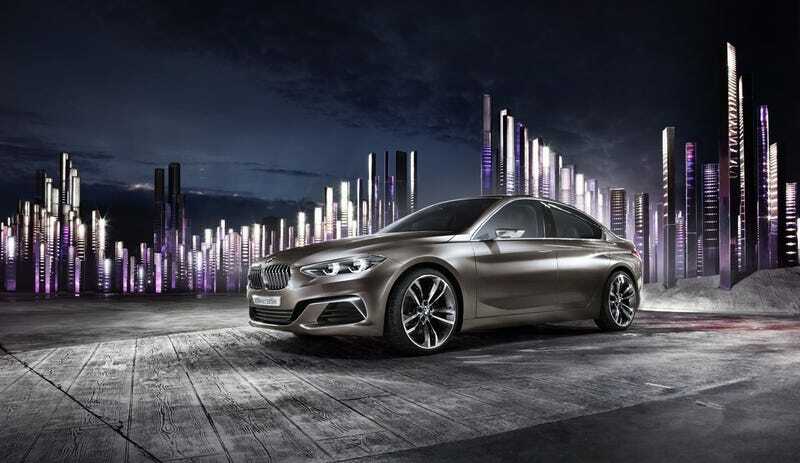 With BMW’s reveal of their new Compact Sedan Concept, which looks to take on the new Audi A3 sedan and Mercedes CLA in the compact luxury car segment, many folks seem to be questioning the validity of a front-wheel-drive (or all-wheel-drive) sedan being a true BMW. When you look over the many models the brand has produced over the last century (the BMW Isetta is probably the most surprising if you thought of BMW’s as fast sedans), quite a few seem to deviate from the sporty ethos of the brand. So show us which BMW feels the least like a BMW.